I don’t think it was a coincidence that staff who worked for House Speaker Nancy Pelosi often ended up standing in front of me when I attended press events she held in San Francisco, when I worked for a local paper. I don’t think it was a coincidence that staff who worked for House Speaker Nancy Pelosi sometimes ended up standing in front of me when I attended press events she held in San Francisco, when I worked for a local paper. She was, after all, used to a press corps that considered her a political moderate in spite of her very progressive voting record and positions. I was not among that group. It was a San Francisco-based misinterpretation due to Pelosi’s old-school style. A Democratic fundraiser and organizer while she raised her five children, Pelosi resisted entreaties that she run for office until her youngest was in high school. The daughter of Baltimore mayor Thomas D’Alessandro, Pelosi was raised in the ways of the back room. She knows how to cut deals when many Bay Area pols prefer to flaunt their precious sensibilities. She’s pragmatic to the point that she tried to rein in Democrats who wanted to impeach President George W. Bush because of the war in Iraq. She also is progressive to the point that she helped usher in President Barack Obama’s Affordable Care Act, even though its passage helped Republicans pick up 63 House seats in 2010. 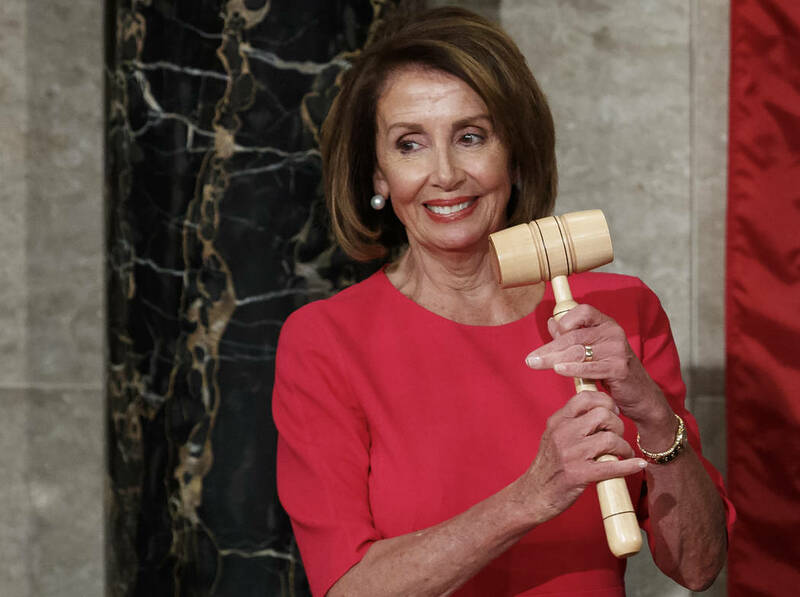 She won on health care, but lost her gavel. She’s the Democratic leader whom the Los Angeles Times rated the fifth most wealthy member of Congress, with properties, including a vineyard, worth some $23 million. Even as progressives chafed at her inevitable return to the speakership, she vacationed during the partial government shutdown at the five-star Fairmont Orchid on Hawaii’s big island, and then had no qualms about pledging to fight “disparity of income” in her first speech as the re-elected speaker. Do not mistake Pelosi’s decision to stay at a Kona resort/spa for softness. She is a fighter. Her predecessor, GOP Speaker Paul Ryan, announced he would not run for re-election in April, at a time his party ruled the House, Senate and White House. Ryan’s predecessor John Boehner lost his members’ confidence, even as the GOP maintained a majority, and resigned. Before Boehner, Speaker Pelosi presided over the loss of 63 Democratic seats in 2010. Did she walk away? No, she actually hung onto power through three more election cycles until a fourth when Democrats regained control. When Democratic candidates and incumbents pledged not to vote for Pelosi for speaker — NBC News counted 58 anti-Pelosi Democrats — the 78-year-old did not fold. Thursday, only 15 Democrats voted against Pelosi, and Ocasio-Cortez was not one of them. President Donald Trump has a long list of handy put-down nicknames for his political rivals — Cryin’ Chuck Schumer for the Senate minority leader, “Crooked Hillary” for former Secretary of State Hillary Clinton, “Lyin’ Ted” Cruz for the Texas senator and “Low-Energy Jeb” for former Florida Gov. Jeb Bush. Pelosi supports sanctuary cities and federal funding for abortion but opposes the death penalty and school vouchers. She’s as liberal as liberal gets. And still, Trump has no killer nickname for her. Sure, he’s tried a few choice words. He called her “MS-13 lover Nancy Pelosi” in May and “High Crime High Tax Nancy Pelosi” in June. But neither stuck. That’s how formidable Pelosi must be in the eyes of Donald Trump.